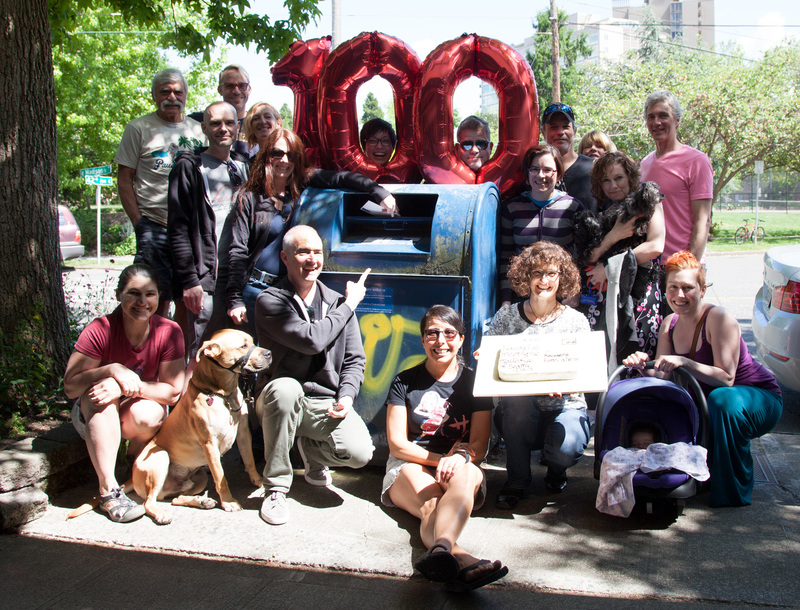 100) Today we celebrate a magnificent milestone: the 100th Mailboxes of Seattle post! 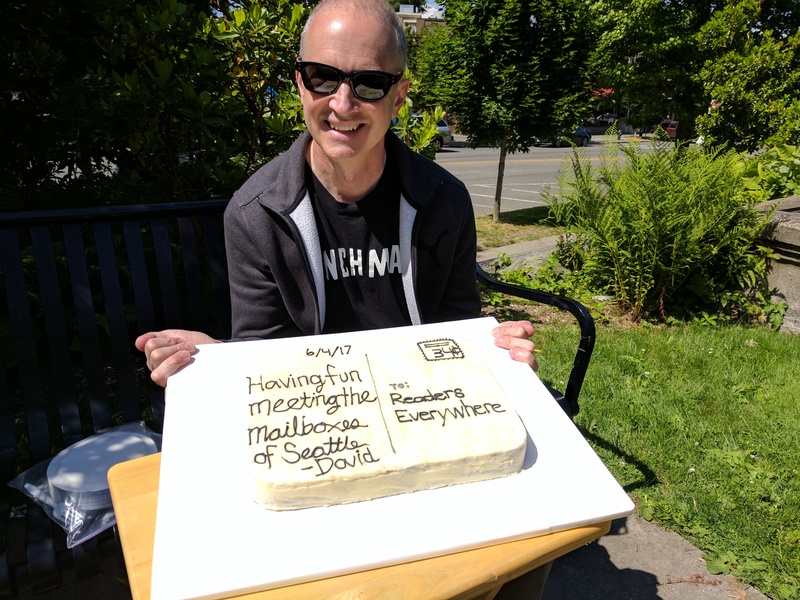 I invited friends to come out to this lovely box in Madison Park to observe the occasion, and look at who all showed up! But listen, I know what’s going on… they were really here for Carol’s postcard cake. Location: Madison Park, E Madison Street at 42nd Ave E.